Aplos Accounting offers fund accounting solutions for nonprofit organizations. Its features include donor management, fundraising tools, project reporting, nonprofit CRM, fund accounting, website builder, and more. In this article, we cover user reviews and pricing. Ready to try Aplos Accounting? Get a free trial. Users who gave Aplos Accounting a positive review said that it is easy to use. Some of them also commented that it offers them a centralized solution for all their accounting and donor management needs. Excellent customer support was also consistently cited. 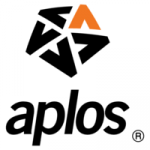 One user who gave Aplos Accounting a positive review on Capterra said that it provides him with accounting solutions that help track and manage donations of his nonprofit organization. According to him, the software offers multiple accounting capabilities such as monitoring of cash flows and business transactions. He also likes how he can access it remotely since it is cloud-based. Users who gave Aplos Accounting a negative review said that its reporting tools aren’t fully customizable. Some of them also complained that their donors received transaction errors, which resulted in missed donation opportunities. One user who gave Aplos Accounting a negative review reported that some of his donors received emails stating that their donations were not successfully transferred. He added that these issues weren’t resolved by the customer support team. He also finds the email template designs and online donation forms unprofessional. Aplos Accounting has four subscription plans: Starting ($59/month), Growing ($89/month), Established ($219/month), and Thriving (custom priced). Users can avail of an advanced accounting upgrade at an additional cost of $100/month for one year. 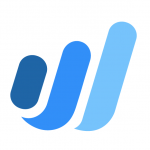 The main differences between the plans are the number of users, number of contacts, and partner integrations. Donation and payment processing rates are 3% + $0.30 per card transaction and 2% + $0.30 per ACH transaction. Ready to try Aplos Accounting? Get a free trial. 6 Best Nonprofit Accounting Software for 2018 — A nonprofit organization needs an affordable accounting software to manage donor contributions and expenses as well as generate detailed reports. 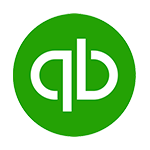 In this guide, we compared QuickBooks for NonProfit, Aplos Accounting, Non-Profit +, QuickBooks Online, Sage Intacct, and Blackbaud, in terms of available features, pricing, and ease-of-use. Can Aplos Accounting help users account for funds generated from multiple sources? Yes. Aplos Accounting enables users to define and set up their own chart of accounts based on the sources of funds. It gives them the ability to differentiate multiple sources instead of accounting for them under a general donation account. How can Aplos Accounting help improve donor retention? Aplos Accounting has donor management features that categorize donor based on their activities and involvements. It can automatically send notifications to welcome new donors, re-engage those who have been inactive, and make loyal donors feel appreciated. Not sure if Aplos Accounting is the right fit for you? Read our reviews of all top nonprofit accounting software or check out one of these three Aplos Accounting competitors.